Original cover by John Romita; Marvel 1975. Andreas Einwächter does not have a website. Awesome! This is one of my favorites in a while. I agree with Josh. Nice one, Andreas! 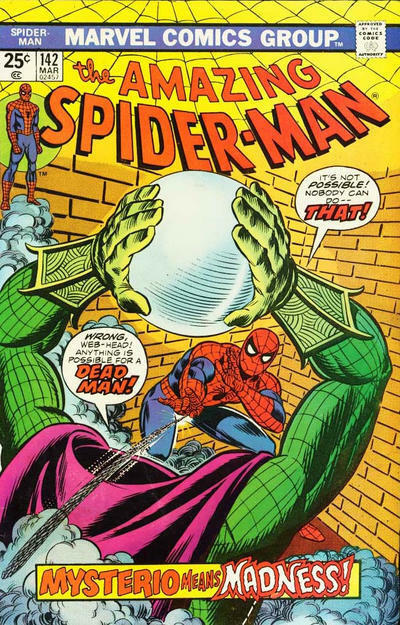 I like how you incorporated the pattern from Mysterio's gloves. Mysterio is my favorite. 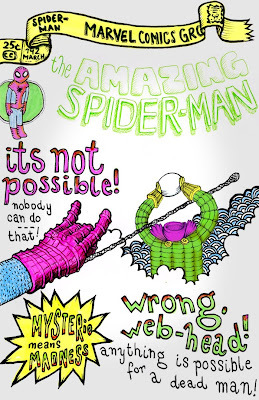 The original cover is great and I not only love what you did with it, but that you have so many other drawings of him. Great! Love Spidey's hand. Plus showing the scene at a different angle makes it more hilarious. Andreas Einwächter should have a website.